A confident Indian team will go into the clash with Ireland in Guyana on Thursday fully aware of what is at stake – a rare semi-final berth in the World T20. India made it to the knockouts in the first two editions of the tournament in 2009 and 2010 but since then have been below par in three successive editions - 2012, 2014 and 2016. A win over Ireland would ensure they end this wretched run and seal a semi-final spot in the prestigious tournament. With two emphatic wins to begin their campaign (34 runs against New Zealand and 7 wickets against Pakistan), India have been the second-best team in the tournament thus far behind Australia. India’s strength has been their top and middle order. Skipper, Harmanpreet Kaur has led from the front. Her record-breaking ton (first hundred by an Indian woman in T20I cricket) against New Zealand in the tournament opener (103 in 51 balls) has sent alarm bells ringing amongst opposition bowlers. Kaur has the second-highest aggregate in T20I cricket in the last couple of years (828) – only after New Zealand’s Suzie Bates (834). Her average (48.70) is also the best in the world in this period (min. number of innings 12) after Australia’s Meg Lanning (48.75). The extremely talented, Jemimah Rodrigues, has been the pivot at Number 3. Not only has she absorbed the pressure of early wickets (as she displayed against New Zealand) and steadied the innings on several occasions since her debut earlier this year, she has managed to do so at a healthy strike rate. In fact, her strike rate of 132.15 is the highest for any Indian batter in the last couple of years. Also, no Number 3 in the world has scored more runs than Jemimah (317) since her debut in February this year. Her average of 45.28 and strike rate of 137.82 are the second-best in the world from the Number 3 position in this time-period. Mithali Raj and Smriti Mandhana form one of the most formidable opening pairs in T20I history (835 runs in 26 innings for the opening wicket; only two other pairs have aggregated more) and India would expect a solid start from their experienced duo. The pair have a partnership strike rate of 110.33 for the opening wicket – something they might look to improve. The Indian lower middle order does not have much depth and would be tested if the top order fails. Poonam Yadav will hold the key to India’s bowling. She has already picked 5 wickets in two matches. Dayalan Hemalatha, the right-arm off-spinner, who made her debut against New Zealand in the tournament opener, has given Poonam the perfect support and also picked crucial top/middle order wickets. No bowler in the world has picked more wickets than Poonam in the last couple of years (38). She has also been very restrictive conceding just 5.67 runs per over. 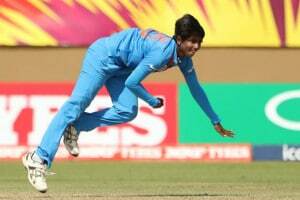 India’s opening bowling pair of Arundhati Reddy and Radha Yadav lack experience and it would left to the spin trio of Poonam, Hemalatha and Deepti Sharma to control the flow and runs and get the breakthroughs in the middle overs. India would hope to show an improved effort in the field – their catching against Pakistan left much to be desired with several straightforward chances going down. Ireland are ranked Number 10 in the ICC Women T20I Rankings. Their result against Australia was on expected lines but they could have given a better performance against Pakistan. Two losses in two matches and Ireland are all but out from contention. Even if they beat India and New Zealand and other results in the group go their way – they will struggle to qualify for the knockouts – given their terrible net run rate. With almost nothing to lose, they may go all-out against India – and try and spoil their party. Captain, Laura Delany has expressed her frustration after the below-par outing against Pakistan and will hope that her side can give India a tough contest. The batting will depend on the top 3. Clare Shillington and Isobel Joyce are the leading run-scorers in Ireland’s T20I history. Gaby Lewis has been their best batsman in the last couple of years – in terms of runs aggregate, average and strike rate and Ireland will look to her to give an impetus at the start. The bowling will be led by Lucy O’Reilly – the right-arm medium pacer - who picked three wickets against Pakistan and was also very restrictive. She will be supported by the right arm medium-fast bowler, Kim Garth – Ireland’s second-highest wicket-taker in T20I cricket. Ciara Metcalfe, the 39 year-old leggie, will not only try to control the stem of runs but also look to provide crucial breakthroughs in the middle overs. 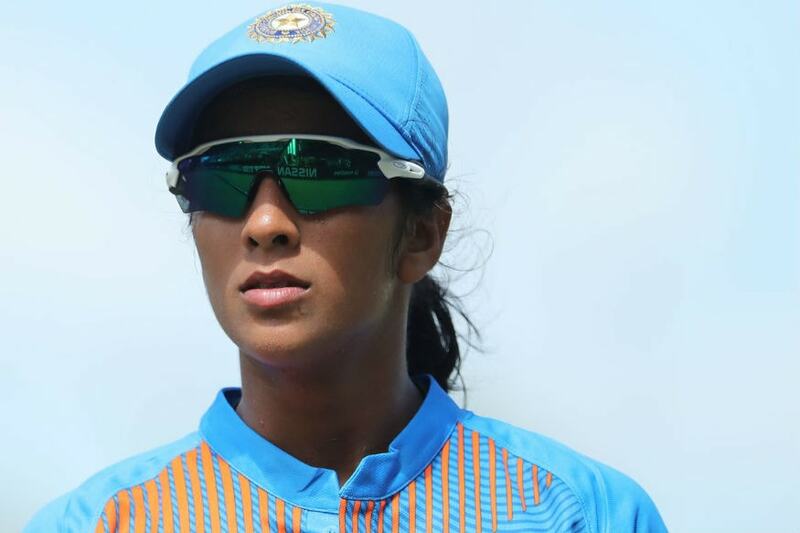 India (Probable XI): Harmanpreet Kaur (capt), Smriti Mandhana, Mithali Raj, Jemimah Rodrigues, Veda Krishnamurthy, Deepti Sharma, Taniya Bhatia, Poonam Yadav, Radha Yadav, Dayalan Hemalatha, Arundhati Reddy. Ireland (Probable XI): Laura Delany (capt), Kim Garth, Isobel Joyce, Shauna Kavanagh, Gaby Lewis, Ciara Metcalfe, Lucy OReilly, Eimear Richardson, Clare Shillington, Rebecca Stokell, Mary Waldron.